24 year old beatmaker from Croatia, makes mostly Hip Hop/Rap beats based on jazz, funk and soul music..
My name is Lanz. I’m 21 years old & am a producer as well as a artist myself. If you are interested in beats from me or want any custom tracks, feel free to reach out to me. I love to work with artists on their specific tastes. Below are a couple tracks I produced. 16 years old from New York. Hmu if you want something custom for you. Interplanetary export currently inhabiting a Nairobi earthling known as Simplly Addy slowly climbing the ranks with his dark brooding yet heavy hitting brand of techno, tech house, afro house, deep house and trance music. Addy firmly believes in the power music holds to possess our soul and acts as a vessel to portray what pure music experience feels like through his DJ sets and music production. Since 2012 Addy produces his own electro music, while he never stopped making all other kinds of music. Influenced by minimal and techno artists such as Matt Lange, Deadmau5, Phil Asher and Disclosure, his electronic working is recognizable by his using of smoothy melodies surrounded by efficient deep rhythms. Logan (Explord) is a young producer specializing in trap and glitch hop but has found success in all genres in music including Orchestral and Jazz. At the age of 6, Logan’s love for music quickly grew as he learned to play guitar, trumpet, and piano. He soon after discovered electronic music which he initially hated. 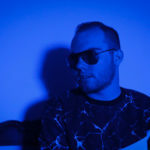 Despite this initial hatred of the genre however, Logan eventually developed a taste for and began producing electronic music under the alias of Explord.